Beyond the Algarve beaches and city break Lisbon or Porto, Portugal remains a beautiful easily-covered mystery. The Costa Vicentina's deserted golden shores contrast with the ravishing seaside towns of the Costa da Prata. National parks encompass the soaring peaks of the Serra da Estrela, the history-laden Sintra hills and the rural beguilements of Alentejo. Cycle paths and walking trails link distinctive country inns (quintas). Portugal's interior remains charmingly unspoilt yet accessible by improved transport links. Comfortable trains link Lisbon and Porto to inland gems like Evora, Coimbra and Guimaraes (Portugal's 12th century first capital). The Parque Natural do Sudoeste Alentejano e Costa Vicentina is the largest protected coastal Natural Park in Europe - a rolling sea of verdant hills, river valleys, dramatically eroded cliffs and virgin beaches. This is the haunt of rare fishing eagles, the worlds only shore-living white storks and sea otters, while unique indigenous plants offer botanical treasure. The Azores - a rugged Portuguese archipelago 1500km out in the Atlantic are an eco-tourism beacon for walkers and wildlife watchers. On land, active volcanoes and crater lakes vie with moss-draped forest and dramatic lava-shaped shores, while the surrounding ocean teems with A-list sealife blue whales to the fore. Distinctive island culture and food await back ashore. The Romans considered Europe's most southwesterly point sacred, a view bolstered when 8th century Christians deposited relics of the eponymous saint. Be awe-struck today by a dramatic headland whose towering cliffs - topped by Europe's most powerful lighthouse provide twitcher nirvana: eagles and peregrines, storks and rock doves. A 6km cliff walk links Sagres and its 15th century memorials to Henry the Navigator. This 12th century university town with its fado-singing black-caped students and ancient alleys twisting moodily between grand architecture is one of Portugals four historic capitals, along with Lisbon, Guimaraes and Porto. Its also an atmospheric base for the nearby Silver Coast sands plus the hills of the Beira Litoral, home to Roman ruins at Conimbriga, the pretty spa town Luso and magical medieval Obidos. The Silver Coast is far more than beaches. 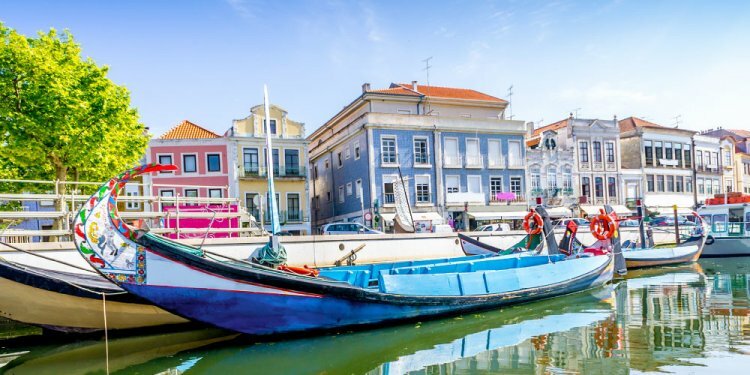 Ravishing historic towns wait just back from the sea Gothic Batalha, artistic Caramulo, pilgrim Mecca Fatima and the canal-crossed lagoon beauty Aveiro. On shore, Peniche and Nazare are surfer beacons drawing pros from around the world to hang ten no wonder, when the largest wave ever surfed rolled in here in 2013. The Costa Vicentina enthralls with wild beaches, and the 120km Fishermen's Trail, the shoreline-hugging section of the breathtaking 350km Rota Vicentina. Colours enchant - turquoise sea, honey-hued cliffs, red and blue fishing boats, emerald-carpeted cliff tops. In spring, wildflowers carpet the dunes, while storks perch on precarious cliff nests. Pause in sleepy fishing villages like Azenha do Mar or laidback resorts like Milfontes. Founded by the Phoenicians, Lagos was an important Moorish port until captured by Christian armies in 1241. Despite summer crowds, it stills feels like a fishing and market town inside medieval walls, where historic mementoes include Europes first slave market. Boat trips venture to startling purple-tinted rock formations rising from the Atlantic, complemented by atmospheric sea caves piercing rugged seacliffs. Portugal's capital is one of Europe's loveliest cities, draping contrasting neighbourhoods across historic hills by the wide Tagus estuary. Bairro Alto clusters chic boutiques and bars above the cosmopolitan bustle of Baixa, grandly rebuilt after the city's devastating 1755 earthquake. Alfama is a medieval melange of ramshackle cobbled streets enlivened by fado bars and outdoor markets the vast Feria da Ladra (Tue/Sat) is a Lisbon institution. 1000km from mainland Portugal, the Madeiran islands Madeira, Porto Santo and the uninhabited nature reserve of the Desertas - were claimed in 1419 by Henry the Navigator. Today these lush islands are famed for flowers, laurel forests, whale watching and historic viaducts (levadas) - plus New Year celebrations featuring some of the world's biggest firework displays. Portos multicoloured old quarter tumbles to the Douro riverfront where historic warehouses sell wine from the surrounding Minho region as well as the eponymous port. Portos hard-working reputation belies an atmospheric beauty and cultural clout from outstanding modern architecture alongside fine museums. Its also a springboard for pretty northern coastal resorts like Vila do Conde and inland gems like Guimaraes Portugals beguiling first capital.